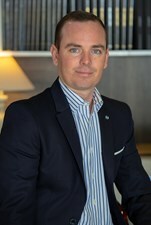 Originally from the Côte d'Azur, Bart spent his childhood in the various marinas of the French and Italian Rivieras with his family and racing sailing boats competitively. His passion for superyachts however started when he first attended the Monaco Yacht Show as a child and he knew then he would one day be selling superyachts in Monaco. Bart studied business at the University of Westminster in London and then started his career in the automotive industry with brands like Porsche and Tesla before heading back to south of France with a clear purpose, to begin his career in the yachting industry. He joined the SanLorenzo Yacht team as Sales Executive for new yachts and then moved to the Yachting division of a major international real estate group as a Yacht Broker. Highly connected on the Côte d'Azur with marinas and yachting professionals, Bart ensures that clients and friends alike enjoy the very best south of France experience from the sea to the slopes, where he is also an avid snowboarder. As a Yacht Broker for TWW Yachts, Bart is based in Monaco and takes care of clients yachting needs in sales, purchase, new build and charter both locally and globally, making thorough research both on and off the market to find the perfect yachts for his clients. Thank you for contacting Bart Obin!